Sailor Moon Director to Appear at Con And a Sprinkle of Sugar! Hey Moonies! Two quick bits of news information! ☼ Anime Expo 2007 will be held June 29-July 2 at the Long Beach Convention Center in California. TOEI Animation will be exhibiting there for the first time, and will feature two directors there! One is Konosuke Uda, who is Toei’s Special Industry Guest. He worked on a several episodes of Sailor Moon, and also was assistant director for the SuperS movie. 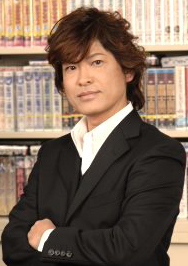 His other credits include the current hit Lovely Complex, Galaxy Express 999: Eternal Fantasy, and the very popular One Piece! The second guest that TOEI will be hosting is Eisaku Inoue, who is the Convention’s Guest of Honor. Eisuke also worked on One Piece and Digimon. Some alarm bells are ringing in our heads when we see mention of Digimon and we wonder if TOEI may be presenting some of their Digimon toys at this convention? Sadly none of us can make it to this con, but if one of you will be attending we would love to feature you as a guest writer! ☼ We haven’t heard a whole lot from Stephanie Sugar Lyn Beard since she moved to Los Angeles. She has been posting the odd video here and there on youtube of such things as her Toronto Loft and her last day at YTV. A few weeks ago she posted this video of her and her magician friend Danny ZZZZ. Danny has performed in the US and Canada and he will be having a new show in 2008 and Stephanie will be in it . She may be his assistant , there hasn’t been a whole lot said about this show since this video has come out. In the meantime, we also noticed from our initial story that the user had removed the clip of Stephanie’s groundbreaking appearance on the Red Green Show! Luckily, we were able to track down the episode and have provided that clip for you all to watch! Now there’s another thing to watch to help ease the wait of her return! News from the other side of the pond! Asian News Blitz: The Sailor Moon Crew in Japan and Malaysia! Toru Furuya Appears at GACC in Malaysia! Toru Furuya , best known as the voice of Tuxedo Kamen (Sailor Moon) , Yamcha (DBZ), and Ray Amuro (various Gundam incarnations), appeared at Games.Anime.Comic.Circle (GACC) in Malaysia on Saturday March 18th. He participated in a talk session, meet and greet, and served as a cosplay judge . Toru broke ground as the first Seiyuu (Japanese VA) to visit South East Asia, and was very popular with nearly all of the congoers! We were able to track down a few cosplay photos from The Star (Malaysia) and here . We recommend fans check out the second link, as it features a fan-captured video of Toru speaking as Tuxedo Mask! Konosuke Uda to Direct New Anime Series, Love*Com! The romantic comedy Love*Com (short for Lovely Complex), is set to premiere in Japan on April 7th. 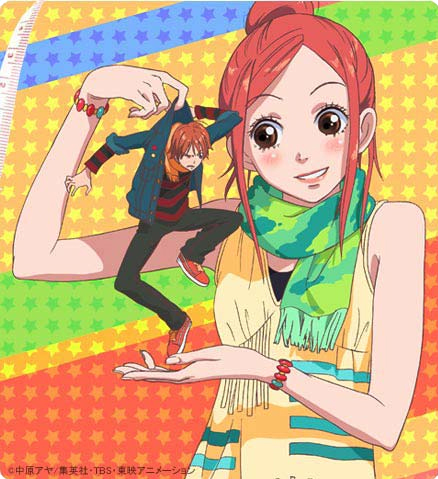 It is based on the shoujo manga of the same name by Aya Nakahara, and tells of the relationship between tall Risa Koisumi and her short boyfriend, Atsushi Otoni. The Toei anime is directed by Konosuke Uda , who directed some episodes from the S and SuperS seasons, and served as Assistant Director with the SS movie. The manga lasted from 2001-2006, and last summer a hit live action movie debuted. The manga has been licensed in North America by Viz and the english translation will be released this summer. Move Over Desperate Housewives, You’ve Got Nothing on Panchanne! Bishoujo Celeb Panchanne is a new Live-Action Series set to premiere on TV Tokyo April 3rd . Yumiko Shinjo used to be a superhero just like Sailor Moon in her high school days, transforming into Bishoujo Kamen Florence. By day, she lives the life of a housewife, married to Kensuke (a businessman), and mother to their kindergartner daughter, Risa. By night however, she returns to her superhero lifestyle as Panchanne. The show is directed by Masataka Takamaru , who directed PGSM (Live Action Sailor Moon) , and stars up and coming idol Haruna Yabuki in the title role. We think the idea of a superhero housewife is absolutely hilarious and we will keep you posted if we find any clips! 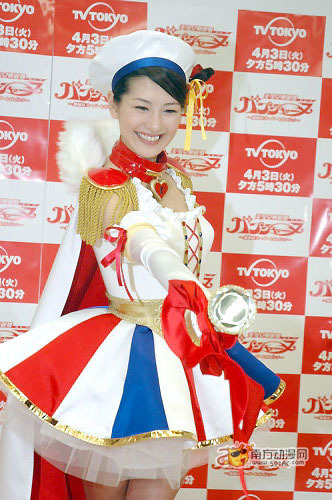 Fans can read an interview and watch a video of Haruna about the show here.